Wife whipped up quick trip to Breath-Inn in Lanesville, Upstate New York. Not far from Woodstock or up the road from ski spot Hunter Mountain. 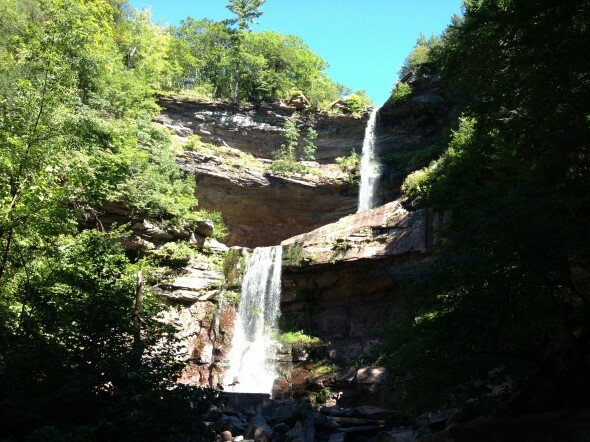 Pictured is Kaaterskill Falls which is about 15 minutes drive — if you’ve had enough concrete this is a great escape. This entry was posted by John Pasmore on Sunday, September 8th, 2013 at 11:07 pm	and is filed under Travel. You can follow any responses to this entry through the RSS 2.0 feed.